This entry was posted in Mathematics and tagged circle, geometry, math, Mathematics, problem, puzzle by RobertLovesPi. Bookmark the permalink. Two equilateral triangles, cosine rule. If you want the proportion of the area then you are on your own!!! acos() being the inverse of cos() in radians. 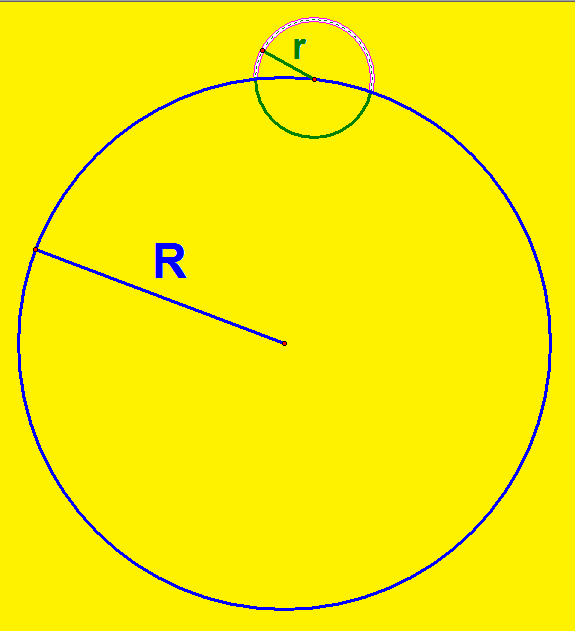 A quick test of the trivial case where r = R gives the correct answer of 2/3.